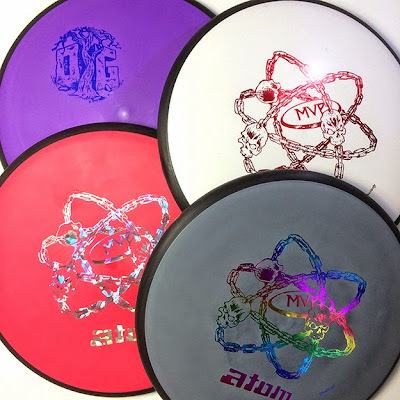 The MVP Electron ATOM Fever Continues! The hottest putter with the Astounding Grip now has a stamp with spinning chains and swirling skulls, Skulboy Style. Plus, get one with a limited run, Skulboy designed mini-logo for the 1st ever permanent Disc Golf course, Oak Grove.